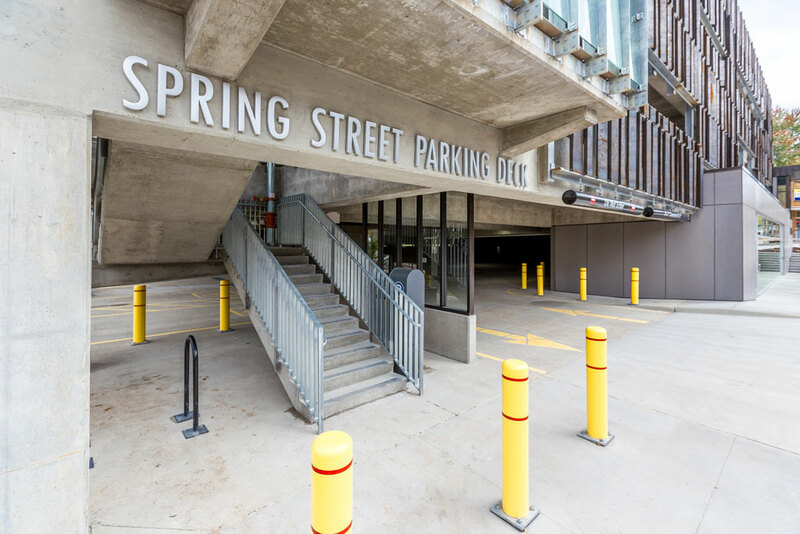 Football fans headed to the Arkansas Razorback home games in 2018 can park in the Spring Street Parking Deck for $5 (cash only) and then catch a free shuttle to Razorback Stadium and back. The service is a collaboration between Fayetteville Parking Management and the University of Arkansas’ Razorback Transit. 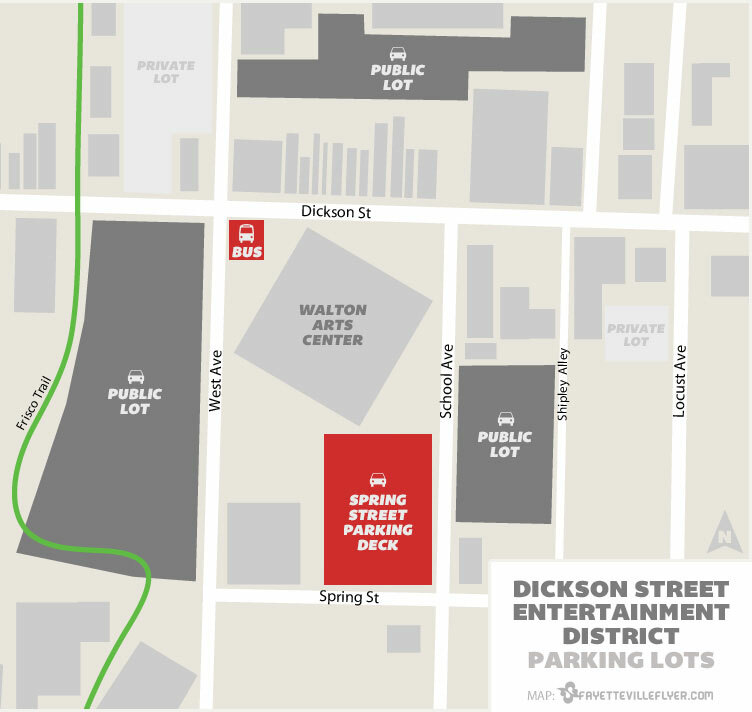 The deck is located on West Spring Street, between West Avenue and School Avenue, behind the Walton Arts Center. Vehicle entrances are located on School Avenue and on Spring Street. Shuttles begin four hours before kickoff (specific times will change based on each game schedule). Make sure to bring $5 cash for parking. The rate ensures parking through 2 p.m. on Sunday. A free UA Razorback Transit shuttle stop is located one block from the parking deck at the southeast corner of Dickson Street and West Avenue (see map below). Shuttles will stop in the passenger loading zone on the north side of the Walton Arts Center and drop off near Gate 1 of Razorback Stadium. After the game, passengers can board the shuttle at the Gate 1 location and return to Dickson Street. Shuttle service ends once the stadium has cleared. The university’s shuttle ride is typically 20-30 minutes long, depending on traffic volume. Note: We rode the shuttle last year during high traffic and it took about 40 minutes.